"I think I left the oven on..."
There's a quirky thing about Arsenal's season so far that a lot of people haven't really mentioned and that's strength of schedule. Sure, this time last year, the Gunners were top of the league and right now they're in 8th. But, if you look at last year's fixture list, you'll find that their first nine matches were fixtures they had won the year prior (in 2012/13.) In fact, last season, Arsenal did not play a fixture that they had lost the year before until November 10 at Old Trafford. As for this season, well, Arsenal have, in seven matches, already played four of the other five teams to finish in the top six last year. In just seven games, Arsenal have already played last year's first place, third place, fifth place, and sixth place finishers. Arsenal have come out of those seven matches with just three fewer points than they came out of the same seven fixtures last year (Leicester away and Spurs at home being the negatives.) Bear in mind, comparing Leicester away to any of the three relegated teams last year is a tricky endeavor; the Foxes have not lost at home in the league this year, taking five points from Arsenal, Everton, and Manchester United. Between now and the next international break, Arsenal play Hull at home, Sunderland away, Burnley at home, and Swansea away in the league in addition to two matches, home and away, against Anderlecht in Europe. Arsenal won all four of those league matches the last time they were played and should be looking for all six points from Anderlecht as well as they navigate the group stage. Okay, there's so much going on here that I can't even wrap my head around it. Laurent Koscielny is OUT with the Achilles problem that forced him to return from international duty with France. He doesn't need surgery, which is good, but this injury has been niggling for months and the prognosis isn't great. ...because, oh right, Mathieu Debuchy is still OUT long term. Per Mertesacker is GERMAN. It's a really good thing for us that he retired from international duty. It is not a really good thing for Germany, though, as their back four is being held together with cheap duct tape. Also, Gibbs. He's NOT HURT. Probably. Tomas Rosicky is NOT OUT, despite picking up a knock for the Czech Republic; he specifically spoke of how he could not change speeds while running, which sounds like a really weird injury to have... It's kind of like "yeah, he's out as a precaution because he keeps making these beeping noises when calling for the ball." Fine, it's nothing like that. Aaron Ramsey is AVAILABLE MIDWEEK. That's actually good news! Mikel Arteta is BACK. And his hair. Abou Diaby is DIABY. I've just made that sound like a primetime drama in which he's a renegade private investigator who plays by his own rules and has a history of knee injuries. I would totally watch that show. Danny Welbeck was removed as a PRECAUTION from the last England match, but should be fine. Yaya Sanogo is AN ENIGMA WRAPPED IN A PUZZLE WRAPPED IN A BLANKET. Olivier Giroud is still out until New Year's. I'm not putting anything in capital letters this time, because we've known this for a while. Good God, how is this section still going? OH! David Ospina is a DOUBT with a thigh injury. You may recall that Ospina did not make the bench against Chelsea. He did not feature for Colombia during the break. Emiliano Martinez may be on the bench again tomorrow, but of more concern is the fact that Wojciech Szczesny is suspended for the midweek match in Belgium. I am a DOUBT with the carpal tunnel I've developed just typing this section. Got it? Now, seriously, who can I pitch this Diaby show to? Predicted XI: Szczesny, Bellerin, Mertesacker, Monreal, Gibbs, Arteta, Wilshere, Cazorla, Oxlade-Chamberlain, Alexis, Welbeck. Two or three injuries? Pffft, that's kid's stuff. Goalkeeper Allan McGregor is out until November with a shoulder injury; Steve Harper will deputize and... wait, 39-year-old Steve Harper? What happened to the backup keeper they had last year, who started against Arsenal at the KC Stadium in April? Oh, turns out that was Steve Harper. Well, isn't that something. Really, I was certain that Harper was either still at Newcastle or retired. Good for him, then; sorry I doubted you, Steve. Robert Snodgrass, who departed Norwich for Hull this summer, is out for the season after picking up a knee injury 40 minutes into the first game. Ahmed Elmohamady left Hull's last game before full time after picking up a knock, but should be fine to start. He was called up to Egypt's squad during the break, but did not feature in either of their African Cup of Nations qualifiers against Botswana. Predicted XI (featuring 3 ex-Spurs): Harper, Chester, Dawson, Davies, Elmohamady, Robertson, Livermore, Huddlestone, Diame, Hernandez, Jelavic. 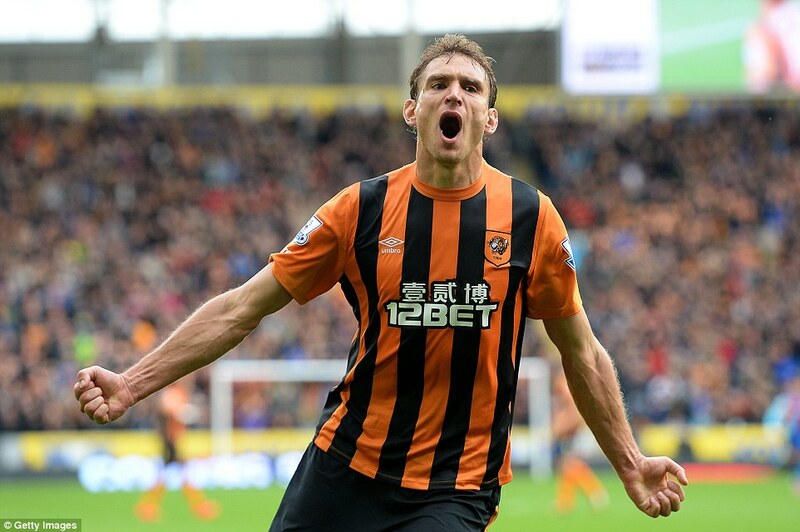 Nikica Jelavic roars like a tiger, I think. It's been two weeks, so, where were we? Unbeaten in the league no longer. Arsenal have just two wins in their last eight matches across all competitions and three wins in their last 11. If you count the Community Shield, Arsenal have won five of their 13 matches this season. That's the kind of statistic that's really going to need to turn around, though I've already touched on that in the opening. Hull City's 2-0 win over Crystal Palace on October 4 was their first league win since the opening day against Queens Park Rangers. That speaks to a moderately good record against London clubs, I guess, though they've also drawn West Ham. During that five match winless run, the club lost to Aston Villa and Manchester City (though they did come from 2-0 down to draw level before losing that one 4-2,) and drew West Ham (as mentioned,) Stoke, and Newcastle. That's all good for nine points, leaving the Tigers 11th in the early season table. Arsenal and Hull City met three times last season, twice in the league of course, and once for the FA Cup Final. You will recall Arsenal came from 2-0 down to defeat Hull 3-2 in extra time to claim the club's first silverware since 2005. I think the victory was famous enough that I don't need to go into much more detail about it. In the league, Arsenal won both encounters via clean sheet. At the Emirates in early December, Arsenal struck first immediately through Nicklas Bendtner, who scored his first goal for the club since March of 2011. Arsenal secured the points with a Mesut Ozil goal just after halftime, winning 2-0. At the KC Stadium in April, a week after it became apparent that both sides would meet in the FA Cup Final, Arsenal won 3-0. Hull controlled the early play, but an Aaron Ramsey goal and a Lukas Podolski brace kept Arsenal in control of their own destiny for fourth place. Arsenal have won seven straight across all competitions against the Tigers, though Hull famously won at the Emirates just after their promotion in 2008; Geovanni and Daniel Cousin scored four minutes apart to turn a 1-0 deficit into an astonishing 2-1 win. Hull's only other wins against Arsenal came in 1908 and 1915.
the cause of the Stoke players' confusion. The referee is Wiltshire-based Roger East, in only his second Premier League appointment of the season to date; he previously took charge of a 0-0 draw between Southampton and West Brom in late August. He also took charge of a League Cup tie between Swansea and Everton in September. East, who was promoted to the Select Group before last season, will be working his first Arsenal match. East took charge of just five Premier League matches last year, one of which involved Hull. That match was a 1-0 loss at Crystal Palace in late January. Palace led early as Jason Puncheon scored the game's only goal in the 16th minute. 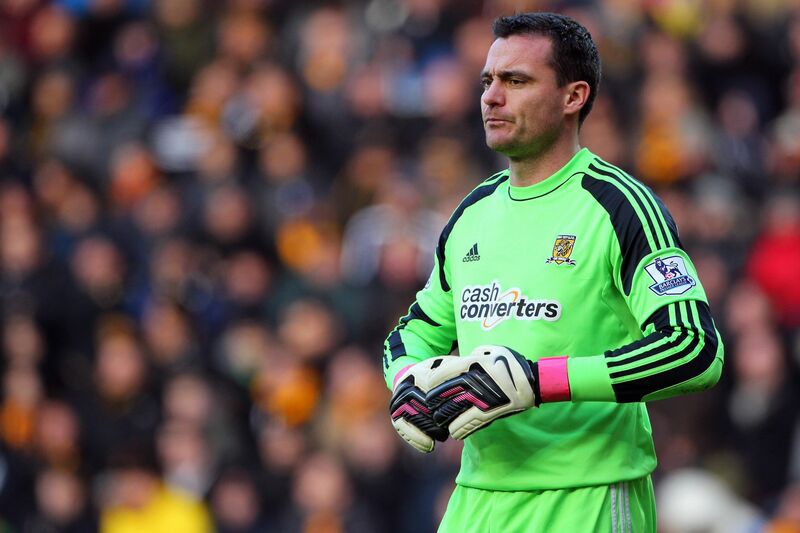 In injury time, Hull goalkeeper Allan McGregor was sent off for kicking out at Stuart O'Keefe. Diaby investigates a string of murders that seem to be connected to the board game Battleship, setting up a nail-biting showdown on an aircraft carrier!